Panax is a geothermal exploration and development company pursuing a range of projects in Australia and internationally. Panax is based in Brisbane in Queensland with projects in South Australia, Indonesia and India. Panax turns geothermal resources into reserves for power generation – identifying, exploring and developing the resources into commercial power stations to generate zero-emission electricity. 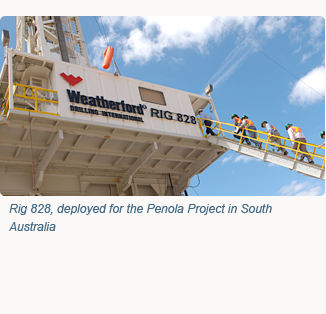 Panax owns some of Australia’s largest geothermal resources. Our company is pioneering the development of conventional geothermal technology in Australia – targeting geothermal resources where naturally occurring hot water is found in existing reservoirs beneath the earth’s surface. Panax only targets these geothermal resources because the technology has been commercially proven around the world. Our company has several projects in Indonesia, which is home to some of the best geothermal resources in the world. Panax has partnered with some of Indonesia’s largest companies to pursue the abundant resources and attractive investment opportunities in the country. Panax’s position in Indonesia provides a strong foundation for our future development and growth into a major international geothermal company.